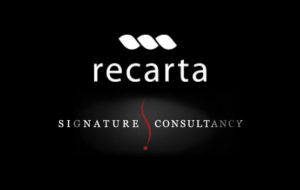 UK Based Recarta, the IBM Enterprise Solution and Support Specialist, has acquired Signature Consultancy the end to end IT services and infrastructure solution provider. Under terms of the agreement, Signatures’ Managing Director, Michele Gulrajani will be leaving the business immediately. We wish her well with her new challenge and congratulate her on building an enviable reputation and portfolio of clients over the past eight years. The acquisition increases Recarta’s client portfolio to over 300 customers, cementing their position as one of the UK’s leading providers of IT support. Recarta is an award-winning IBM Platinum Business Partner and provider of integrated IT infrastructure and data management solutions. Recarta specialises in the design, deployment and management of IT infrastructures and have extensive experience working alongside major ISV’s within the commercial sector both onshore and offshore. Recarta’s Managed Services and Software Asset Management divisions have seen large growth over the past year and is one of the leading IBM Support Partners in the UK. In addition to its long list of IBM Server and Storage skills and accreditations, Recarta are a partner with Lenovo, HP, Cisco, EMC, Vision Solutions, VMware Enterprise Partner, Veeam Gold Partner, Citrix Silver Partner, Microsoft Reseller, Checkpoint Bronze Partner and Red Hat Ready Partner. The acquisition leaves Recarta with five regional sales offices, over 25 sales and technical consultants and a turnover of over £10M.